It doesn’t take long for termites to damage the structural integrity of your home. Termites eat wood, but live underground, making them a cleverly concealed pest the majority of the time. Since they are practically invisible, a termite infestation often already exists by the time homeowners notice any signs of damage. 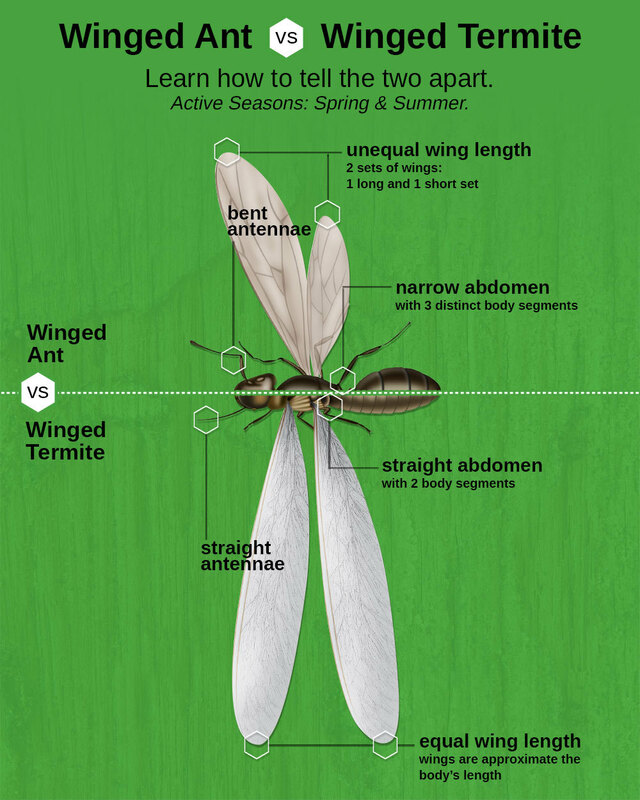 Termites have never been in short supply, and optimal termite control depends on the death of the egg-laying termite queen. Without a queen, there cannot be a colony. But, safely ensconced on her throne, the colony thrives, as she is capable of producing millions of termites over the course of her reign. That can make stopping an infestation difficult if you're not working with an expert. Termites enter your home in pursuit of their food supply: wood. However, they are difficult to spot as they tend to live underground, adding to their stealthy presence in your residence. Other tell-tale signs of termites include pinholes in drywall that are covered over with mud; mud tunnels, also known as shelter tubes, running along the foundation; partial mud tubes descending from infested wood; jammed doors and/or windows; visible damage to wooden objects; tapping on wood met with a hollow, echoey sound. Termites cause damage to homes by feeding on the wooden supports. 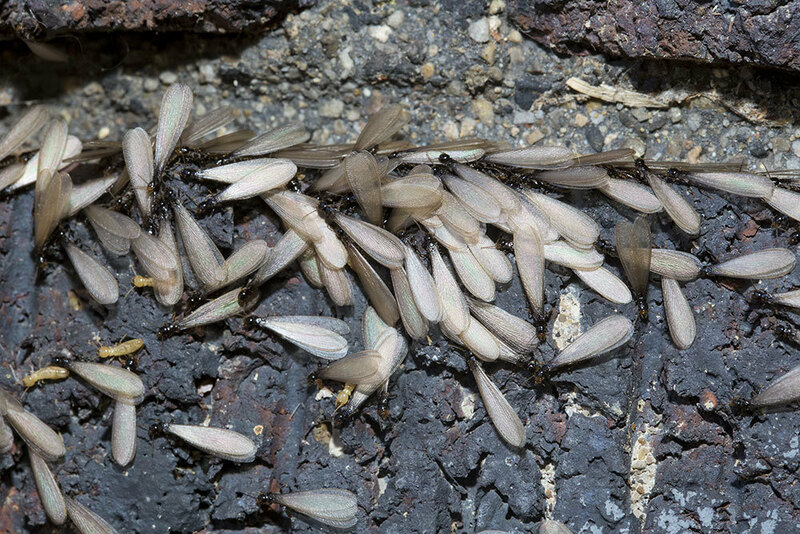 Given the rather secretive nature of termites, it’s difficult to address any issues until there is visible damage, often only discovered while remodeling a home, or in the somewhat rarer instance of a swarm inside the structure itself. These, among other signs, are clues that termites are actively chewing on (and damaging) the wood in your house. 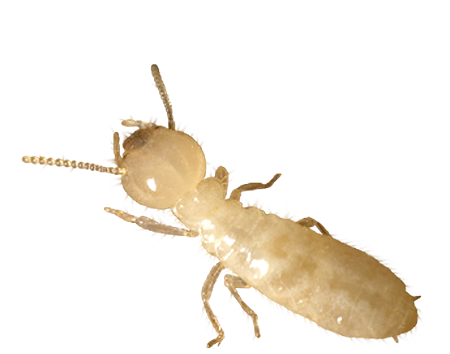 When it comes to termites, we rely on The Sentricon System - the most effective termite control program on today’s market. Leveraging our experience with this cutting-edge product gives us the edge over termite pest control. 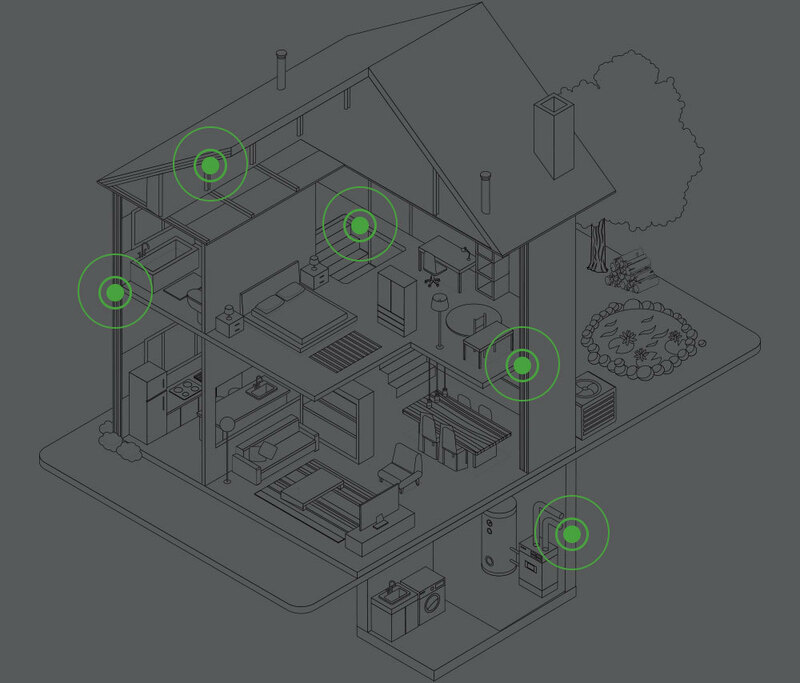 Starting with a professional inspection of in-ground control stations, our technicians are able to evaluate the level of termite activity around your home. Once established, we spread Sentricon products throughout the termite colony via the workers who source this bait, delivering it to the queen. Even though termites dwell beneath the ground, your JP Pest trained service technician might even find them above ground. In this case, we rely on Sentricon bait stations, featuring a cellulose-based bait matrix, safely contained within the station to prevent exposure to animals, humans, and the environment, overall. Eastern Subterranean Termites build distinctive tunnels, often referred to as “mud tubes,” to reach food sources and protect themselves from open air. They use their scissor-like jaws to eat wood 24 hours a day, seven days a week.